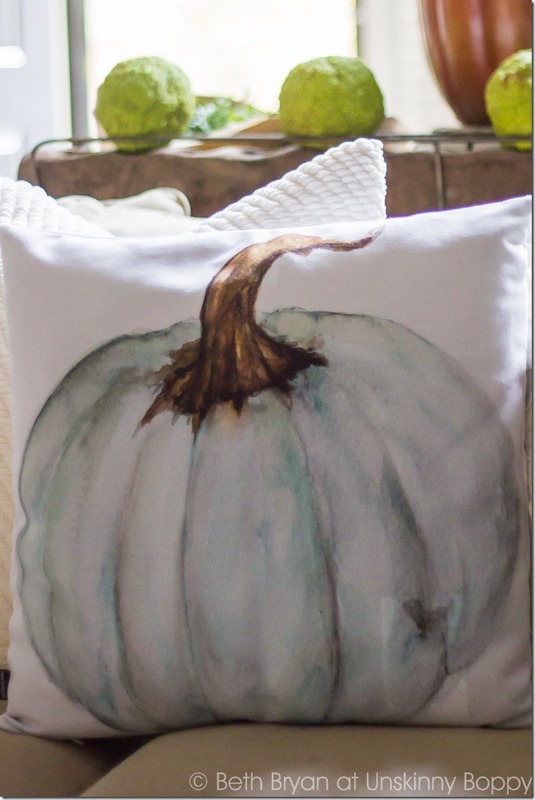 Did you happen to catch my newest addition yesterday when I was showing you the Mohawk Rug and Thanksgiving kids craft table? If not, let me show you today! 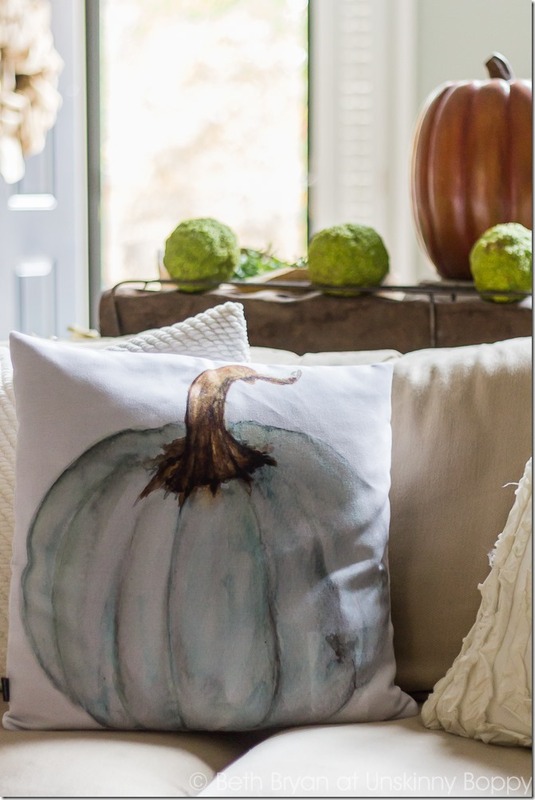 My amazingly talented friend Lucy at Craftberry Bush turned her pumpkin watercolor painting into a pillowcase, which you can buy over at her Society6 shop. Whewwwweeeee. isn’t this the prettiest pumpkin pillow you ever did see? I am so in love with everything about this pillow. It’s one-of-a-kind, super beautiful, and the blue/grey/green colors are perfect in my living room. Isn’t Lucy crazy talented? I’m in awe. 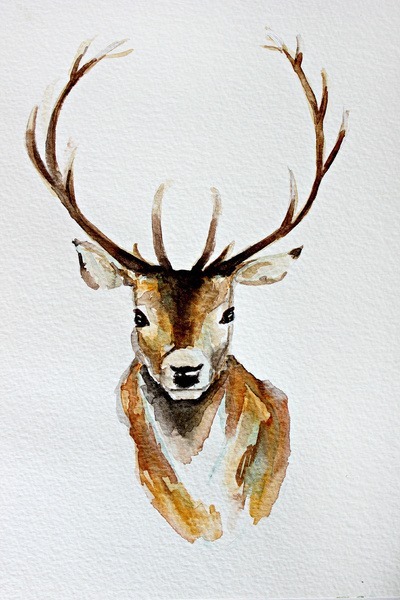 Be sure to check out all of Lucy’s prints in her shop, including this gorgeous whitetail buck deer painting…. And this watercolor blue jay feather! Perfection. Keep on painting, Lucy! I cannot wait to see what masterpiece you will come up with next. 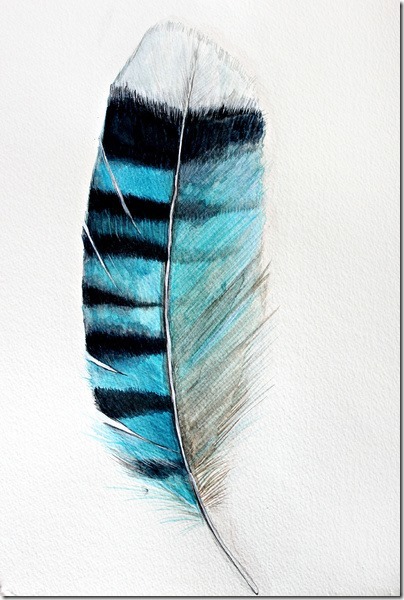 I absolutely LOVE Lucy’s artwork. 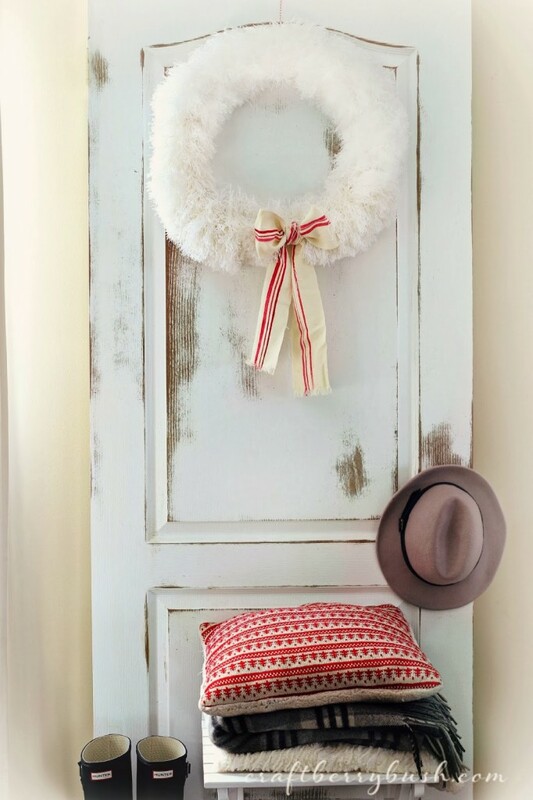 Be sure to visit her blog to see all of her unbelievable holiday décor, too, like this pretty Christmas wreath made out of feather dusters from the dollar store! 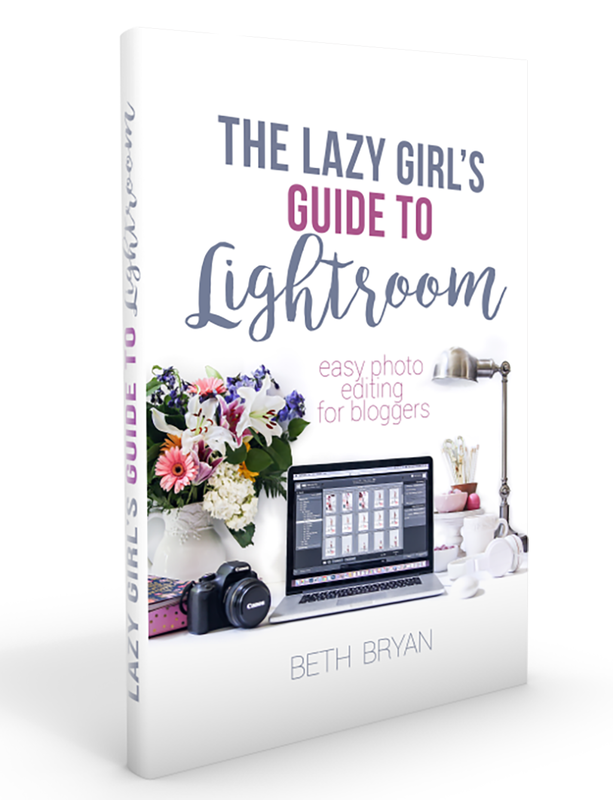 So simple, so cheap, but so magical…. 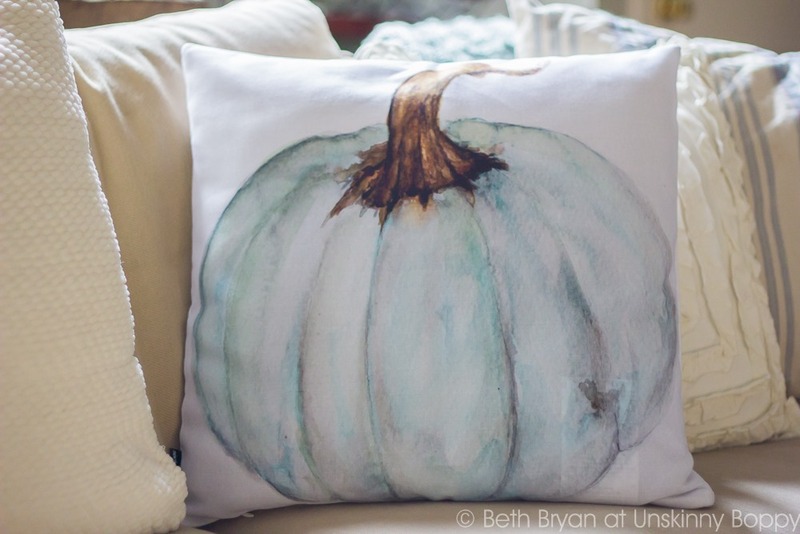 Lucy is showcasing her Holiday projects in the December issue of Celebrating Everyday Life Magazine along with a whole bunch of talented ladies and blog friends of mine! Be sure to pick up your copy of the magazine to get tons of great decorating ideas. Here is a sneaky peeky.